North Dakota fell to Western Illinois 8-0 Friday night, and dropped the first game Saturday 10-1 and second game 3-2. UND faced off against Western Illinois in the team's home opener Friday night. The Hawks fell 8-0 to the Leathernecks in five innings. 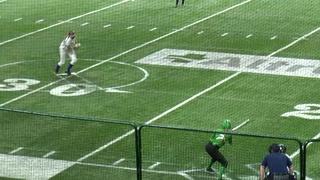 The East Grand Forks softball team faced off against East Polk/Fosston on Monday at the Senior High Field. East Polk won the game, 14-3.. The North Dakota softball team has been on the road for 43 straight games, and has traveled to all four time zones.